Willie Marshall, the most prolific scorer in the American Hockey over his 20-year career, was inducted into the league’s Hall of Fame in 2006. Willie, a model of consistency, joined the Reds in 1963 for three seasons, scoring 53 goals and 179 points over the span. He topped the 20-goal mark in each of his first 12 years in the American Hockey League. Nicknamed “The Whip”, Marshall made his AHL debut with the Pittsburgh Hornets in 1952-53, leading them to the Calder Cup finals. It would be the first of 13 seasons in which Marshall would lead his AHL team in scoring. In 1955-56, he saw action in 16 NHL games with the Toronto Maple Leafs. 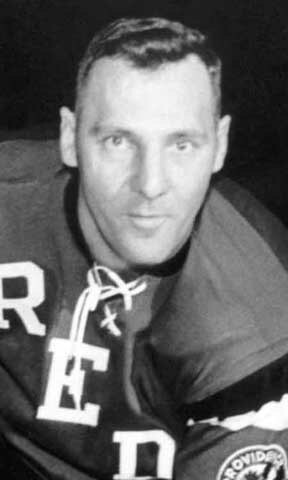 With the Hershey Bears in 1957-58, Marshall won his first and only league scoring title, registering 104 points as the Bears captured the Calder Cup. A year later he won yet another Cup with Hershey, his third in five years. The 1971-72 season, his record-tying 20th in the AHL, was his last. He retired as the league’s all-time leader in games played (1,205), goals (523), assists (852) and points (1,375), as well as hat tricks (25) and Calder Cup Playoff assists (71) and points (119).